Restoring a smile with implants involves more than the surgical procedure itself. We must also take into consideration the quality of the bone they’re placed into and the gums that will surround them — the “canvas” that showcases your new beautiful smile. Bone — not only at the missing tooth site but supporting neighboring teeth as well — is the foundation for a successful implant. Without an adequate amount of bone, we can’t place an implant to achieve a final life-like appearance. Inadequate bone can be a problem if the tooth has been missing for awhile — without the stimulation of biting forces from the tooth, the bone can shrink gradually over time. 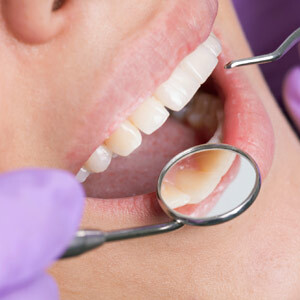 Periodontal (gum) disease and other dental conditions can also cause bone loss. The health of your gums — as well as the tissue type you’ve inherited from your parents, thin or thick — can also determine how natural the implant crown looks as it emerges from them. If they’ve receded due to gum disease they may not regenerate sufficiently, making your teeth longer-looking or leaving the triangular bit of gum tissue between the teeth, the papillae, noticeably missing. If you’ve inherited thin tissue gums, you’re also more susceptible to gum recession and there’s less margin for error during implant surgery. There are some things we can do to minimize these problems. Tooth removal to make room for the new implant needs to be done carefully with as little tissue trauma as possible; it’s also helpful to place grafting material in the empty socket immediately after extraction, especially if there’s going to be a time gap before implant placement. If bone loss has already occurred, we can also use similar grafting techniques to rebuild the bone. Likewise we need to take special care during implant surgery when dealing with thin or diseased gums. With the latter, it’s usually necessary to bring the gum disease under control and allow the gums to heal first. In extreme cases, cosmetic gum surgery may also help restore lost tissues and create a more natural look between the gums and the implant crown. Creating a natural appearance with implants is a blend of technical skill and artistic insight. Keeping the balance between all these factors will produce a smile you’ll be proud to show.